Are You Taking Probiotics For Eczema? Are You Taking Probiotics For Eczema? Atopic dermatitis (AD) is its fancy name, eczema is how you know it and my oh my can it be a pain in the behind. The prevalence of eczema in the western world is soaring. Children raised in western homes have up to a 20% risk of contracting AD – this is huge. Why oh why when we have such a developed health system, is our rate of allergic conditions like eczema on the rise? One emerging answer is beginning to reveal itself – your gut health, or more specifically a poor one. So, just what does this mean and just how can you take probiotic control of yours? When most people talk about ‘the gut’ they’re talking about the part of it located in your lower belly. But did you know, your gut or gastrointestinal tract for long, actually starts right from your mouth and goes the whole way through your body until, you guessed it, a bathroom is needed. Wherever food passes through your body is what medical professionals call your gut. That’s your mouth where teeth and saliva enzymes start to breakdown food, to your tummy where stomach acid really gets to work and to your small intestine which is where your body absorbs yummy vitamins, minerals and nutrients. The most delicate part of your gut machine is the intestines. Without them, your body can’t feed itself. No vitamins, minerals or nutrients means game over. That’s why when the health of your intestines starts to wonder, your body starts to warn you. It can’t speak, but it can give you a solid nudge. Your gut is a home of worker bees that all have happily defined roles. Imagine a small village of people, there’s the shoe maker, the garbage guy, the vegetable grower and the cook… the doctor, the caregiver, the entertainer and the sheriff. It’s a carefully designed eco-system to ensure everyone has a role to play and that every role helps build community. Happy community equals a happy life. This is exactly like your gut. It also needs a happy community to make a happy life. Your gut is home to over 1, 000, 000, 000, 000, 000 good bacteria, of 400-500 species. That is way over a billion little people all working together to create your life giving eco-system. It’s extremely important. Digesting and breaking down your food into small, usable chunks. Absorbing food so your body has fuel and energy. Been feeling run down and tired? Your gut health could be to blame. Absorbing water, aka keeping you hydrated. Mopping up toxins that you don’t want being absorbed by your body. When your gut is healthy and has a healthy population of probiotic bacteria it’s able to do all these things well. It’s able to keep you healthy and alive and that’s a pretty big deal ‘eh. Now imagine the opposite. Imagine if your happy community were to be attacked by a power-hungry intruder. Someone who wanted to dominate and take all the benefits of your shoe maker, garbage guy, vegetable grower and doctor for themselves. This time around your happy community has been tilted. It’s lost vital helpers. It’s happy community is now off-balance and when someone needs the help of a doctor or the food from a vegetable grower there’s none to be found. Why Can Your Gut Become Unhealthy? Poor diet – things like not enough fibre or the eating of too many inflammatory foods. Antibiotics – they kill off the good bacteria in your gut. Low doses of antibiotics persistent in meats – did you know animals are regularly treated with antibiotics because of cramped living conditions? Pesticide residues on fresh fruits and vegetables – a suspect for killing off good gut bacteria. Drinking too much alcohol, it’s inflammatory and it likes to kill stuff off. It’s what hand sanitizers are made of. It also stops your gut absorbing vital energy giving vitamins like thiamine – vitamin B1. Pain killers that irritate the gut e.g. ibuprofen. Remember earlier, we spoke about allergic conditions like eczema booming in the western world? Well the other thing that’s booming is our food industry. It’s also the big distinction between west and east. We have a fast-food culture. A need for pre-packaged foods that last weeks, months and even years. Yes tinned baked beans really will do that. The demand for mass-produced foods that are available all year round is huge. As consumers we expect fresh broccoli to always be available. We want the option to eat meat every week. See how all of this plays into poor gut health causes 1, 2, 3 and 4? How Can an Unhealthy Gut Cause Eczema? The part you’ve been waiting for. 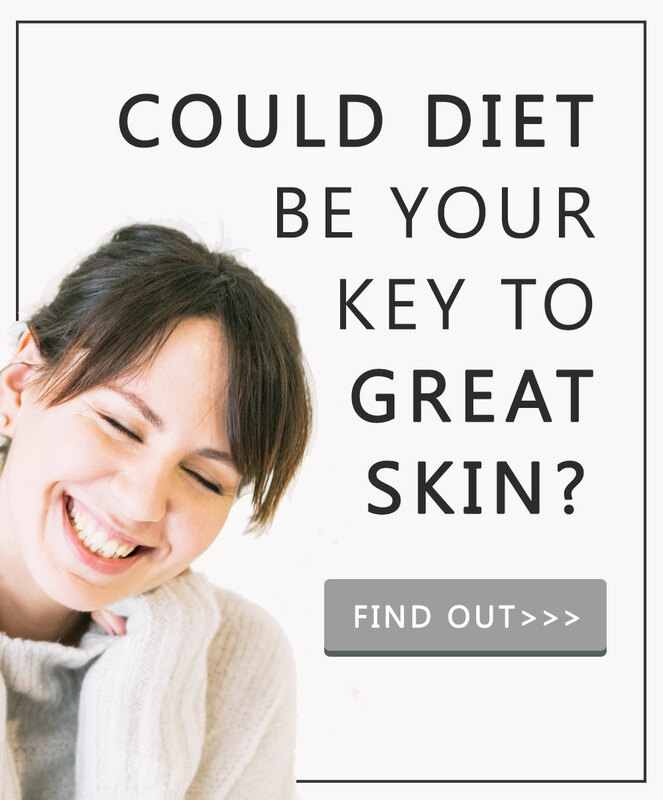 On one hand we’ve got eczema and on the other hand we’ve got a poor gut health. Just how do these 2 connect? How can something in your lower belly cause eczema on your face? Let’s delve in to the probiotic, eczema cure connection. If we break it down, eczema is simply your body over-reacting to something. That might be a food that you eat, a pollen that you pick up or a dye from your clothes. Most people won’t be affected by these culprits, however, if you have eczema your body has decided it will be. That’s nice of it ‘eh. When you have eczema, or a genetic vulnerability to developing it, your body is ultra sensitive to things. Another way of describing this is by saying an eczema flare-up is caused by an over reaction of your immune response. Your body identifies something as an invader and it goes to war. Your body’s way of war is inflammation which is why your eczema is red, pink, inflamed and itchy. The interesting part – in cell count over 70% of your immune system is located in your lower gut and it’s been shown that people with eczema have a very different population of gut bacteria than those who don’t. Eczema is often contracted young and infant studies show us that those who do develop eczema have a lower level of a healthy gut bacteria called bifidobacteria (1, 2). Adult studies also show that those with eczema have a lower level of probiotic bifidobacteria and a higher level of bad Staphylococcus bacteria’s. 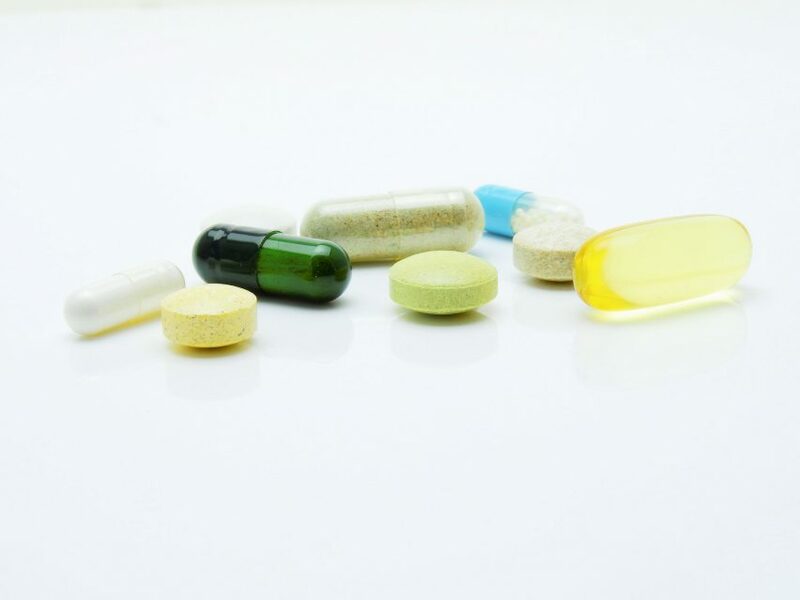 Animal studies show that antibiotics exposure early in life can cause an exaggeration of the immune system that can be reversed with probiotics. Taking probiotics for eczema and specifically probiotics of bifidobacteria aka Bifidobacterium looks set to be able to reverse the biology changes that cause your body to over react to things. Aka become allergic, attack itself and develop autoimmune diseases. The science is still catching up to understand the exact theory behind why taking probiotics for eczema can help to relieve this itchy skin condition. It’s a bit like knowing chocolate makes you feel good, without knowing that it’s because ingredients found in cocoa cause feel good hormones like serotonin to be released. Pinning down the reasons why is a work in progress, but it looks a little like this. A poor gut health > leads to > fewer good bacteria > leads to > a weakened or changed immune system > which leads to > allergic immune responses like eczema. 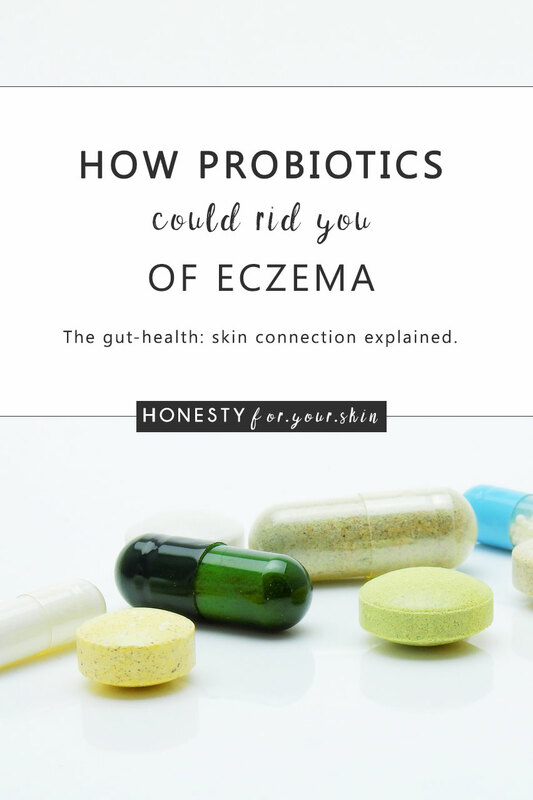 If poor gut health is the trigger of your eczema taking a probiotic supplement may help to re-establish a happy community of healthy bacteria pushing that eczema train above in the opposite direction. With this said, it’s also very important to look at your diet, taking a probiotic for eczema can only be effective in the long-term if it’s not battling against a poor diet. This would be like trying to take pain killers for a headache while moshing all day long (you know, that head banging thing people do at rock concerts…). 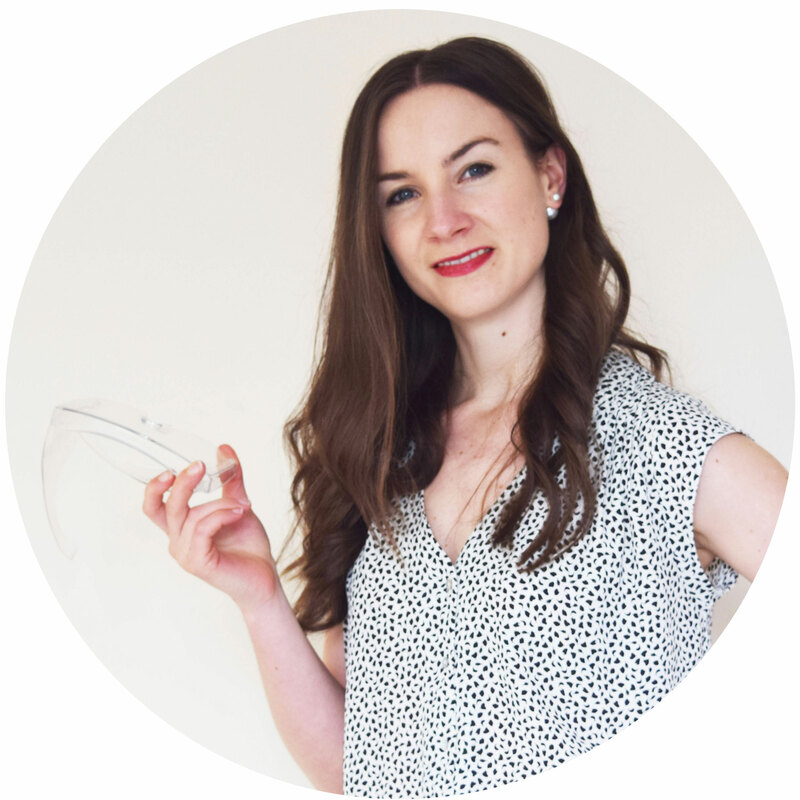 The best probiotic supplements for eczema are high in bifidobacteria and it’s a good idea when you start taking them to start off with a high dose, kick starting a healthy gut community. When you look at a supplements packet it’s going to tell you exactly how many live bacteria there are in 1 dose. Around 20 billion is a good probiotic kick start. Ready to get yours? Remember, these are live bacteria and they’re sensitive to things like light, heat and air. Store them in a dark place, preferably the fridge and take them with tap temperature water, not a hot drink.